A teacher told him before he ever considered acting: "You don't know it, but you're an actor." A star on the Hollywood Walk of Fame honoring Oscar-and Emmy-nominated actor Nick Nolte was unveiled Monday. Gavin O'Connor, who directed Nolte in his Oscar-nominated performance in the 2011 coming-of-age mixed martial arts drama "Warrior,'' joined Nolte in speaking at the ceremony in front of the Hollywood Pacific Theatre at 6433 Hollywood Blvd., between Cahuenga Boulevard and Wilcox Avenue. 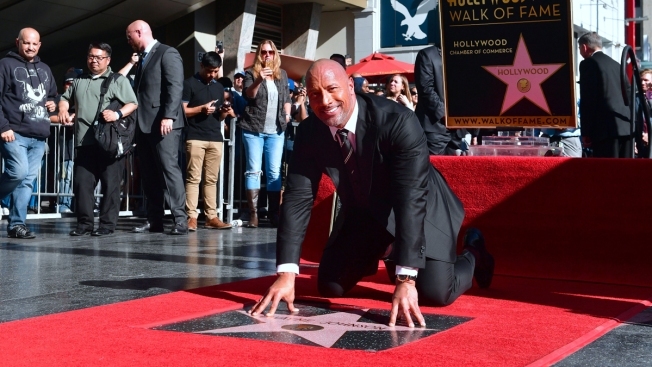 The star is the 2,623rd since the completion of the Walk of Fame in 1961 with the first 1,558 stars. The ceremony will be streamed live on www.walkoffame.com. Nolte first gained fame for his starring role in the 1976 ABC miniseries "Rich Man, Poor Man,'' which brought him an Emmy nomination for outstanding lead actor in a limited series. Nolte now stars in the Epix comedy "Graves'' as a former two-term president hoping to end the wrongs of his administration 25 years after leaving the White House. Nolte was born on Feb. 8, 1941 in Omaha, Nebraska. He moved to Southern California after graduating from high school, playing football at Pasadena City College. Nolte began his acting career at the Pasadena Playhouse, then studied briefly with Bryan O'Byrne at the Stella Adler Conservatory of Acting in Hollywood. He then spent several years performing in regional theaters.